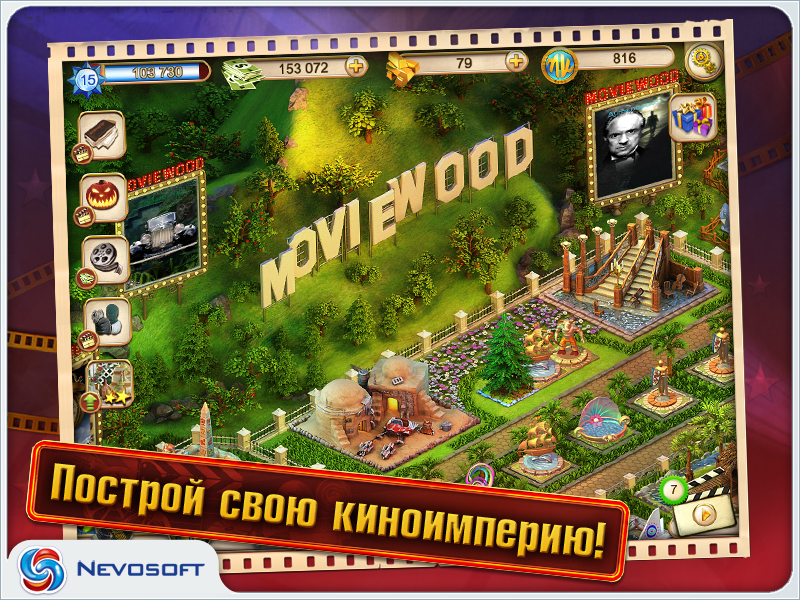 Game Moviewood for iPhone and iPad. 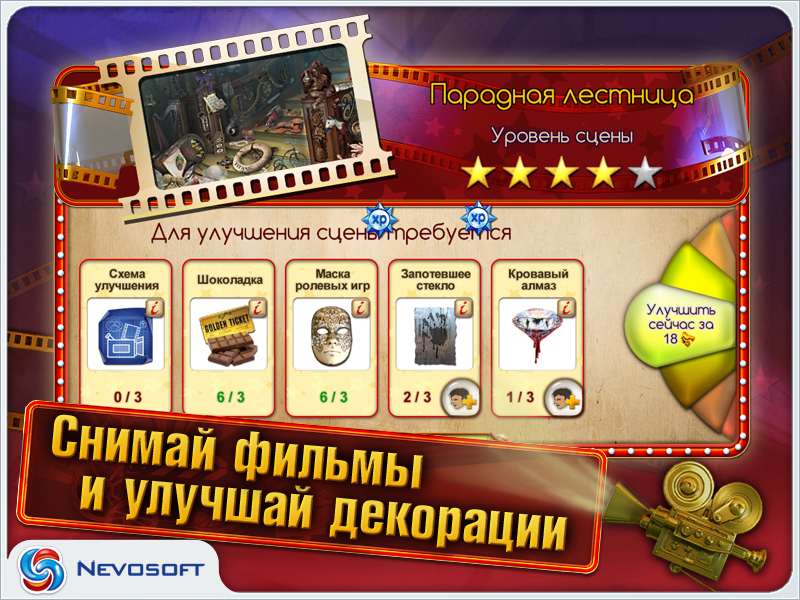 Download game Moviewood for iPhone and iPad for free at Nevosoft.Com. 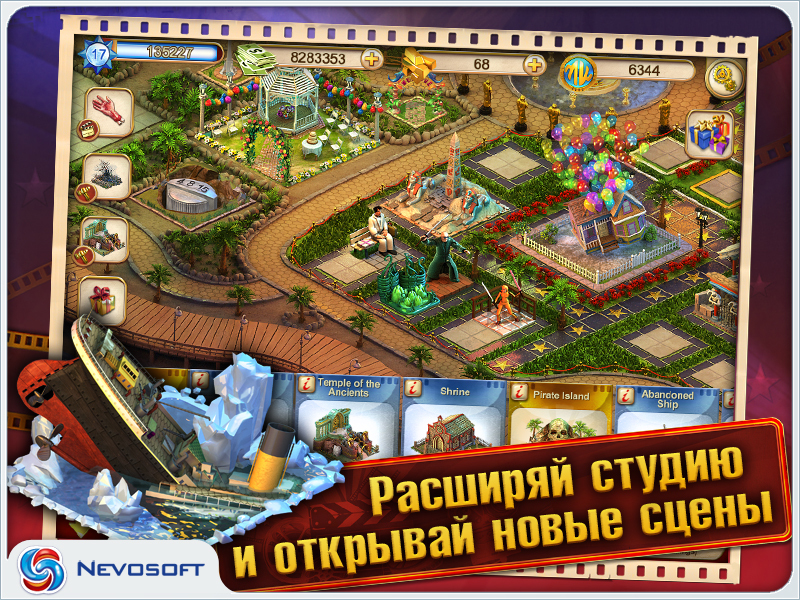 Description, walkthough of Moviewood for iPhone and iPad, buy game. Build the movie studio of your dreams! 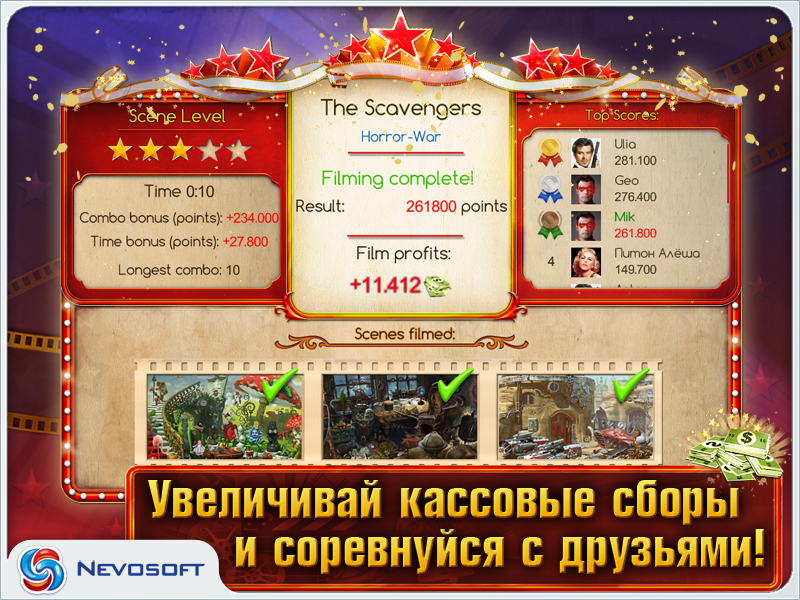 Take part in filming famous blockbusters. Review scripts, invite your favorite actors, and direct feature films. 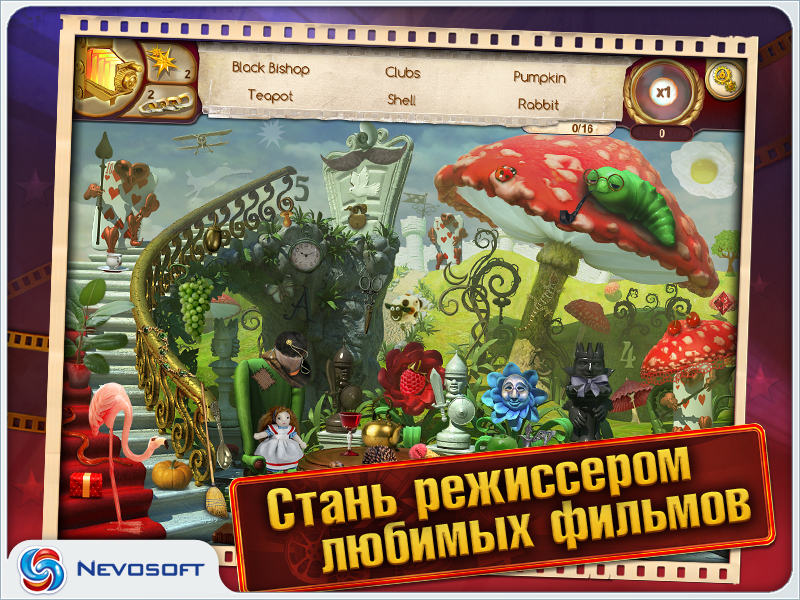 Make movie posters and astonish your friends! - get a chance to walk on the legendary red carpet!